This book is a follow-up to her Salade. “We don’t really think of how many thing we eat with fruit,” said Beale, pointing out that most of Les Fruits is savory, from a simpler version of duck à l’orange to seared tuna with cherry relish, clay pot chicken with almonds, dates, and lemons, and rack of lamb with za’atar, warm plums, and arugula. 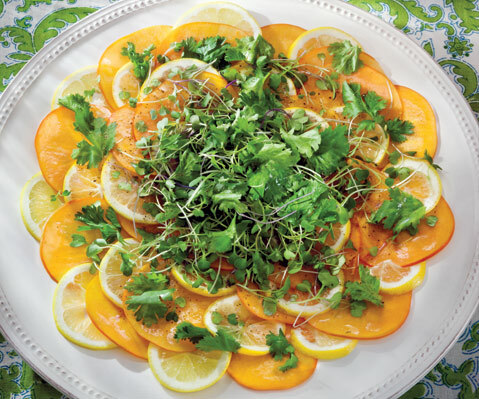 “It goes back to eating seasonally, obviously when everything tastes best,” she said. And it’s not just spring and summer, for Beale reminds that winter offers pears, apples, Meyer lemons, and pomegranates — all of which get their delicious due in the recipes of this book that’s sure to urge you into the kitchen. 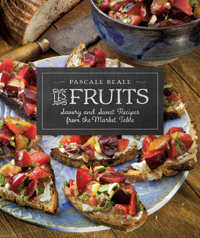 Pascale Beale will sign copies of Les Fruits at Hudson Grace in the Montecito Country Mart on December 17, 4-6 p.m. and, at the Santa Barbara Farmers Market, weather permitting, on December 19, 8:30 a.m.-12:30 p.m. See pascaleskitchen.com.